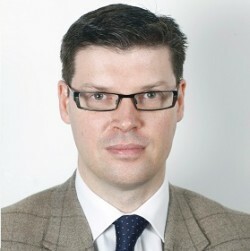 James Ker-Lindsay is Eurobank EFG Senior Research Fellow on the Politics of South East Europe at the London School of Economics and Political Science. Amongst his previous appointments, he served as the Co-ordinator of the Greek-Turkish Forum at the Royal United Services Institute for Defence and Security Studies (RUSI). A specialist on conflict, peace and security in the Western Balkans and Eastern Mediterranean, his books include EU Accession and UN Peacemaking in Cyprus (2005), Crisis and Conciliation: A Year of Rapprochement between Greece and Turkey (2007), and Kosovo: The Path to Contested Statehood in the Balkans (2009). His next book, The Foreign Policy of Counter Secession: Preventing the Recognition of Contested States, will be published by Oxford University Press in October 2012. In addition to his academic work, he has a practical background in conflict resolution and has advised a number of governments and international organisations, including the Council of Europe and the UN.